CUPERTINO, California—June 22, 2009—Apple® today announced that it has sold over one million iPhone™ 3GS models through Sunday, June 21, the third day after its launch. In addition, six million customers have downloaded the new iPhone 3.0 software in the first five days since its release. The new iPhone 3GS is the fastest, most powerful iPhone yet, packed with incredible new features including improved speed and performance—up to twice as fast as iPhone 3G—with longer battery life, a high-quality 3 megapixel autofocus camera, easy to use video recording and hands free voice control. iPhone 3GS includes the new iPhone OS 3.0, the world’s most advanced mobile operating system with over 100 new features such as Cut, Copy and Paste, MMS*, Spotlight™ Search, landscape keyboard and more. iPhone 3GS customers get access to more than 50,000 applications from Apple’s revolutionary App Store, the largest application store in the world where customers have already downloaded over one billion apps. 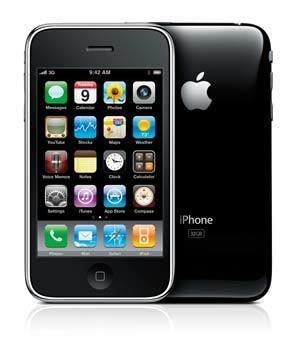 iPhone 3GS offers twice the capacity for the same price with a 16GB model for just $199 and a new 32GB model for just $299. ** And iPhone 3G is available at the breakthrough price of just $99 for the 8GB model—a huge milestone for the high end smartphone market. *MMS messaging is available only on iPhone 3G or iPhone 3GS; fees may apply. MMS may not be available in all areas. MMS support from AT&T will be available in late summer.